Five times Grammy nominee Joe Jackson is best known perhaps for hits like 1979's witty 'Is She Really Going Out With Him' and the sublime jazz pop crossover smash 'Steppin' Out' whose haunting urban dark keyed splendour is still the perfect soundtrack for a night time foray into the neon lit city. But while those hits personify certain facets of Jackson's mercurial talent they don't tell the whole story since he's mastered so many musical styles, from power pop to jive to cool combo swing, to the experimental fringes of avant garde, that rediscovering his catalogue is akin to investigating a variety of different moods. A classically trained musician, Jackson has also moved effortlessly into soundtrack, tackled symphonic work and published a splendid autobiography, A Cure for Gravity, which describes his early life and stops just as he is about to become a pop star with characteristic élan and self-deprecating humour. Given that his songs have charted across four decades it's not surprising that his body of work is large and includes many comprehensive Best Ofs for beginners and completists alike, although we reckon that enjoying his albums in chronological order is a smart move. There is plenty to involve the listener. After studying violin and piano at home in working class Portsmouth (though he was born in Burton-on-Trent, Staffordshire) young Joe Jackson played in the local clubs before winning a scholarship to attend the prestigious Royal Academy of Music in London where he studied composition. Rather than pursue a classical career he opted for his first love, pop and rock – early bands included Edward Bear and Arms & Legs. Joe's breakthrough came when he was signed in 1978 and given free rein. His clever, word driven rhythms – the lyrics perfectly matched to changes of tone and tempo, drew comparisons to Elvis Costello but if he was a part of the mainstream new wave Jackson was less inclined to throw second hand punkish barbs and far more interested in pushing his own boundaries. The resulting album Look Sharp! depicting Joe sporting a nifty pair of white shoes, marked him out as a maverick even by the post punk standards of the day. Produced in London and New York with David Kershenbaum helming the sessions the disc established Jackson as a cornerstone artist with flair, taste and great songs to boot. His live shows were rapturously received thanks to a repertoire featuring instant gems like 'Sunday Papers' and 'Happy Loving Couples'. Joe followed that a few months later with I'm The Man where he decided to dress as a wide boy/black market spiv for the cover. Again his keen observational ear produced memorable moments: 'It's Different for Girls', 'Amateur Hour' and the wry 'Don't Wanna Be Like That' indicated he was around for the long haul. Eccentric pure pop having been the norm he now absorbed elements of ska and reggae on Beat Crazy. The flavoursome title cut, 'Crime Don't Pay' and 'Battleground' mirrored some of the social situation in 1980. Meanwhile the Joe Jackson band, Graham Maby, David Houghton and Gary Sanford, proved an ideal foil. Never likely to stand still Joe Jackson's Jumpin' Jive gave him the opportunity to shine as a crooner, a band leader and instigator of the growing jump blues retro revival wherein tunes from 'Cab Callaway', 'Louis Jordan' and 'Lester Young' were examined afresh and performed with Zoot Suit glee. Particularly fine is Joe's take on the lovely Louis Armstrong tune 'You Run Your Mouth (And I'll Run My Business)'. All the mentioned albums are of course available as remastered editions, often with rare and bonus material, and this one sounds particularly fine today. The impeccable Night and Day (check out the Deluxe version, it's superb) includes his signature classic 'Steppin' Out', also 'Breaking Us In Two'. Both were substantial hits worldwide and broke Joe in America. By now there seemed no limits to the man's ambition and the pop, jazz and salsa rhythms of Body and Soul, with its subtle recreation of a Blue Note vintage cover – Joe plus sax in homage to Sonny Rollins – is a brooding thing augmented by lush horns and sparkling female backing vocals. The tour that accompanied this album ended one chapter in Joe's career but he re-emerged revitalised for the live Big World (recorded in early 1986 at the Roundabout Theatre, New York City) where the audience were asked to remain silent, no applause please! The remote broadcast technique was astounding and also unusually issued on three sides of vinyl. He followed the classical experiment Will Power with Live 1980/86, which was akin to a greatest hits and is thoroughly recommended. The Tucker soundtrack and the carefully constructed and ambitious taking stock of the '80s resume, Blaze of Glory, saw Joe expanding his multi-instrumental skills to include synthesisers and samples. He returned to his own vintage styling with Laughter & Lust (1991) which includes a fine interpretation of the Fleetwood Mac song 'Oh Well' and the pleasantly irreverent music industry overview of 'Hit Single' and 'Obvious Song'. 1994's epic Night Music fused Joe's love for pop and classical with the main man now playing a staggering array of instruments – everything from celeste to Salvation Army bass drum. Maire Brennan from Clannad added a typically sweet edge to the lilting Celtic tune 'The Man Who Wrote Danny Boy'. While he pursued other avenues Joe returned to the fray with the sublime tribute to Duke Ellington, The Duke (2012) that topped the US Contemporary Jazz Albums chart. This is serious, adult music, befitting an artist who has always aged up rather than been defined by his own nostalgia. And of course there are some excellent introductions and compilations to be found, including Stepping Out: The Very Best of, This Is It! (1979-1989), and Tonight & Forever: The Joe Jackson Collection. Other handy items in that vein are The Silver Spectrum Collection and Gold while remastered live CDs such as the BBC recordings, a concert from the Rockpalast and the Joe Jackson Trio's Live Music (Europe 2010) add to the rounded view. Indeed there is a body of great work here that shows no signs of diminishing. Could be time to do a little steppin' out. A brilliant, accomplished debut, Look Sharp! 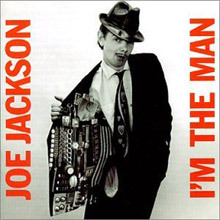 established Joe Jackson as part of that camp of angry, intelligent young new wavers (i.e., Elvis Costello, Graham Parker) who approached pop music with the sardonic attitude and tense, aggressive energy of punk. Not as indebted to pub rock as Parker and Costello, and much more lyrically straightforward than the latter, Jackson delivers a set of bristling, insanely catchy pop songs that seethe with energy and frustration. Several deal with the lack of thoughtful reflection in everyday life ("Sunday Papers," "Got the Time"), but many more concern the injuries and follies of romance. In the caustic yet charming witticisms of songs like the hit "Is She Really Going Out With Him?," "Happy Loving Couples," "Fools in Love," and "Pretty Girls," Jackson presents himself on the one hand as a man of integrity seeking genuine depth in love (and elsewhere), but leavens his stance with a wry, self-effacing humor, revealing his own vulnerability to loneliness and to purely physical attraction. Look Sharp! is the sound of a young man searching for substance in a superficial world -- and it also happens to rock like hell. 1982 will forever be known as the year that the punks got class -- or at least when Joe Jackson and Elvis Costello, rivals for the title of Britain's reigning Angry Young Man -- decided that they were not just rockers, but really songwriters in the Tin Pan Alley tradition. (Graham Parker, fellow angry Brit, sat this battle out, choosing to work with Aerosmith producer Jack Douglas instead.) Both had been genre-hopping prior to 1982, but Jackson's Night and Day and Costello's Imperial Bedroom announced to the world that both were "serious songwriters," standing far apart from the clamoring punkers and silly new wavers. In retrospect, the ambitions of these two 27-year-olds (both born in August 1954, just two weeks apart) seem a little grandiose, and if Imperial Bedroom didn't live up to its masterpiece marketing campaign (stalling at number 30 on the charts without generating a hit), it has garnered a stronger reputation than Night and Day, which was a much more popular album, climbing all the way to number four on the U.S. charts, thanks to the Top Ten single "Steppin' Out." Night and Day had greater success because it's sleek and bright, entirely more accessible than the dense, occasionally unwieldy darkness of Imperial Bedroom. 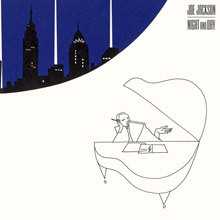 Plus, Jackson plays up the comparisons to classic pop songwriting by lifting his album title from Cole Porter, dividing the record into a "night" and "day" side, and then topping it off with a neat line drawing of him at his piano in a New York apartment on the cover. All of these classy trappings are apparent on the surface, which is the problem with the record: it's all stylized, with the feel eclipsing the writing, which is kind of ironic considering that Jackson so clearly strives to be a sophisticated cosmopolitan songwriter here. He gets the cosmopolitan, big-city feel down pat; although the record never delivers on the "night" and "day" split, with the latter side feeling every bit as nocturnal as the former, his blend of percolating Latin rhythms, jazzy horns and pianos, stylish synths, and splashy pop melodies uncannily feel like a bustling, glitzy evening in the big city. On that front, Night and Day is a success, since it creates a mood and sustains it very well. Where it lets down is the substance of the songs. At a mere nine tracks, it's a brief album even by 1982 standards, and it seems even shorter because about half the numbers are more about sound than song. "A Slow Song" gets by on its form, not what it says, while "Target" and "Cancer" are swinging Latin-flavored jams that disappear into the air. "Chinatown" is a novelty pastiche that's slightly off-key, but nowhere near as irritating as "T.V. Age," where Jackson mimics David Byrne's hyper-manic vocal mannerisms. These all fit the concept of the LP and they're engaging on record, but they're slight, especially given Jackson's overarching ambition -- and their flimsiness is brought into sharp relief by the remaining four songs, which are among Jackson's very best. There is, of course, the breakthrough hit "Steppin' Out," which pulsates anticipatory excitement, but the aching "Breaking Us in Two" is just as good, as is the haunting "Real Men" and the album opener, "Another World," a vibrant, multi-colored song that perfectly sets up the sonic and lyrical themes of the album. If all of Night and Day played at this level, it would be the self-styled masterpiece Joe Jackson intended it to be. 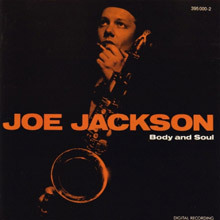 Body and Soul has Joe Jackson playing both hot- and cool-styled jazz songs, getting some worthy help from producer David Kershenbaum, who also lent Jackson a hand on his I'm the Man album. This is Jackson at his smoothest, from the fragility of "Not Here Not Now" to the earnestness of "Be My Number Two." While both this song and "Happy Ending" charted fairly low in the U.K., the explosive "You Can't Get What You Want" went to number 15 in the United States, thanks to the brilliant horn work and colorful jazz-pop mingling of all the other instruments, not to mention Jackson's suave singing. But the album's energy isn't spent entirely on one track. "Cha Cha Loco," "Losaida," and the cheery yet stylish "Go for It" carry Jackson's snazzy persona and enthusiasm even further, laying claim to how comfortable he really is at playing this style of music. Sometimes sounding preserved and entertaining in the same light, Body and Soul uses some of the character of 1982's Night and Day album, but instead of splitting up the music into mild jazz, pop, and modern R&amp;B, he decided to tackle one of the genres wholeheartedly, and in doing so he came up with a truly impeccable release. 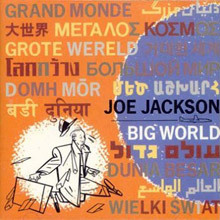 Joe Jackson crafted his most labored, serious album in 1984's Body and Soul, so it's no surprise that he made a complete turnaround for its follow-up, Big World. Instead of delving deeper into jazz, Jackson pared his lineup down to a basic guitar, bass, and drums rock combo and recorded all of Big World live in front of an audience in a move to avoid the over-production that bogged down records of its period. Interestingly, Jackson insisted the audience not make a sound during the recording, so this doesn't sound like a live album, except in the spots where Jackson's voice wears a bit thin. And, running over 60 minutes and across three record "sides," Big World is a sweeping album, shifting from a more accessible first side to an experimental middle and closing out with a more aggressive third side. It works, since Big World is the most raw and immediate record of the middle part of Jackson's career. But listeners expecting another Look Sharp! won't be impressed, as this is still a much more serious, concerned Jackson than before. As the title of the album suggests, Jackson is tackling big issues, such as global cultural differences, Reagan-era politics, yuppies, and relationships -- from romantic ones to those you hold with your roots, as on the reflective "Home Town." At times, it works marvelously, and at times the songs are too ponderous and minimal to make any impact. But the best moments, like "Right and Wrong," "Tonight and Forever," and "Home Town," establish Big World as one of the best and most overlooked records of Joe Jackson's career. 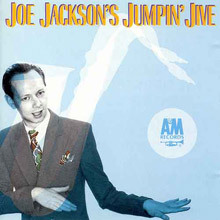 Jumpin' Jive proved to be one of Joe Jackson's most adventurous projects as he tries his hand at covering a bunch of Louis Jordan and Cab Calloway tunes, ranging from the extravagance of big band to bop to vibrant swing music. The album broke the Top 50 in the U.S. and made it to number 14 in England, with the title track peaking at number 43 over there as well. Jackson sounds extremely fresh and vivacious throughout all of the tracks, with Calloway's "We the Cats" and "Is You Is or Is You Ain't My Baby" demonstrating how easily his persona adapts to this particular style of music. Jackson doesn't just sing the music here, he actually role-plays to some extent to make the songs sound that much more genuine and timeless, giving tunes like "Tuxedo Junction," "What's the Use of Getting Sober," and the hip-cat composure of "Jumpin' Jive" some modern flash and color. The horn work is dazzling as well, especially Dave Bitelli's alto sax and Pete Thomas' clarinet contributions. Not only was Jumpin' Jive a novel idea, but it reveals Jackson's musical dexterity and desire to further his interests into other avenues aside from pop and mainstream ballads. Although he touched on reggae with 1980's Beat Crazy, Jumpin' Jive fully uncovers his musical astuteness and remains one of his best albums. Before exploring jump blues and early R&amp;B on 1981's Jumpin' Jive and later jazz and Latin styles on 1982's Night and Day, Joe Jackson expanded his power pop and punk m.o. with this, his reggae-tinged third album. Jackson sticks with the short songs and punk feel of his first two releases, but strategically adds rocksteady and jazz elements here and there. A direct reggae influence is heard on such dub-style cuts like "In Every Dream Home," while more of a pastiche approach is evident on tracks like "Mad at You." Jackson even riffs off of Linton Kwesi Johnson's dub poetry sides with the dancefloor politics of "Battleground," while also laying down some straight ska on "Pretty Boys." One also gets intimations of the sophisticated jazz-pop songwriting of Night and Day with torching gems like "One to One." As is the case on most of his albums, Jackson covers a wide array of topics here, including modern relationships, feminism, club life, and the social fringe. A solid effort. Despite Jackson's anxious demeanor and shaky pop/rock presence, I'm the Man holds together quite well as his second attempt. Reaching number 12 in the U.K. and a respectable number 22 in the U.S., the album managed to net him a number five hit in his homeland with the insightful "It's Different for Girls," which revealed Jackson's adeptness at philosophizing and his perception of examining the sexes, a trait which would follow him throughout his career. While this song represents his skill at crafting an effective ballad, the frantic "I'm the Man" showcases Jackson at his most frenzied, as a freight train's worth of lyrics pile haphazardly into one another alongside a wonderfully hysteric rhythm. Not only does the track show off Jackson's free-range ability, but his sense of humor arises once again, following in the footsteps of Look Sharp! 's "Is She Really Going Out With Him." Jackson's new wave tendencies are toned down for I'm the Man, but that doesn't restrain his talent, as songs like "Kinda Kute," "Amateur Hour," and "Geraldine and John" make for catchy side servings of attractive pop. It wasn't until Jackson's next album, Beat Crazy, that he began to expand his musical latitudes into reggae, soul, and later on into jazz and other styles. I'm the Man exposes Jackson in his early stages, but it's evident that his wit and peculiar brand of pop charm is already building up its strength. After the inappropriately bombastic arena rock of Blaze of Glory, Joe Jackson returned (somewhat) to his roots to deliver the most straightforward pop album in his career in Laughter &amp; Lust. While Jackson's late-'80s output is composed of intelligent, if often forgettable, adult pop/rock, Laughter &amp; Lust feels almost like a snotty declaration of Jackson's pop skills. He's "been there, done that" with pop music, and with Laughter &amp; Lust he shows off just how effortlessly he can construct a commercially viable pop album. Nowhere is this more present than on the bitter "Hit Single," a tirade about the disposability of pop music and the public's inability to digest more than "just the hit single." But Jackson saves this inscrutable slap in the face of his fans by setting it to -- surprise -- a massive pop hook. 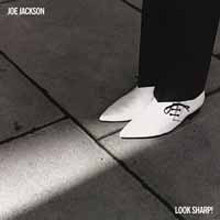 And it's that paradox that exists all over Laughter &amp; Lust; songs like "Stranger Than Fiction" and "When You're Not Around" sound so effortless, so catchy, so made for radio -- and yet you know that Joe Jackson constructed these songs just because he could, not necessarily because he wanted to. It's a testament as much to Jackson's abilities as it is to his ego, and Laughter &amp; Lust became his not-so-subtle goodbye to pop music, as he would continuously foray into "serious" music from here on out. Still, for a fan who can see past the attitude, Laughter &amp; Lust does deliver more bang for the buck than any Jackson album since Night and Day, simply because Jackson really does know how to construct a good pop song, even if he's condescending while doing it. 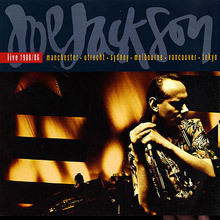 A double-disc live collection, Live...1980-1986 manages to effectively trace the development of Joe Jackson's diverse career. 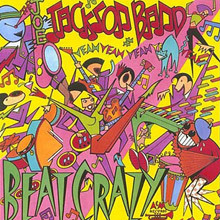 Drawing from four different periods in the songwriter's career -- with each period featuring a new backing band -- Live captures Jackson with his original new wave trio, a 1983 quintet that was dominated by keyboards, a horn-driven group from 1984, and a 1986 quartet that specialized in straight-ahead rock &amp; roll. Universal's Very Best of Joe Jackson doesn't stray far from the myriad other Jackson collections, but it does manage to successfully present a broad spectrum of the influential singer/songwriter' s work on a single disc, unlike the two-volume Tonight & Forever: The Joe Jackson Collection and Steppin' Out: The Very Best of Joe Jackson sets. All of the obvious selections like "Is She Really Going out with Him?," "Got the Time," "It's Different for Girls," "Steppin' Out," and "Breaking Us in Two" are here, and the inclusion of quality cuts from less successful records like Big World and Blaze of Glory makes it a great introduction to the Jackson canon.